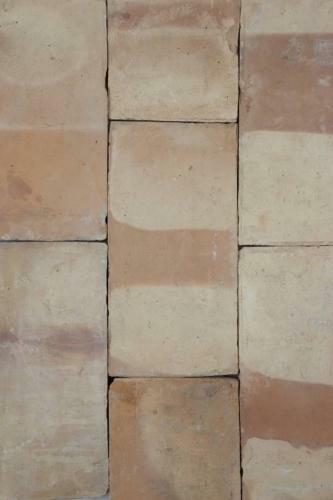 The French terracotta was used throughout the South of France and is usually rectangular in shape. The tiles are handmade and fired in wood burning kilns, a practice that ceased in the 19th century. They are made of local earth and firing produced pink and ochre colour tones. The tiles vary in size and thickness depending on the maker and can be used inside or outside.